​American actor. 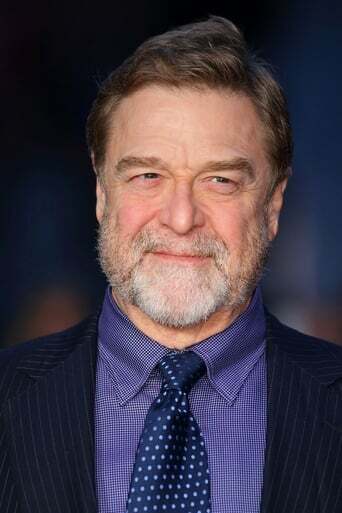 Height 6' 2" (1,88 m) John Goodman is most famous for his role on the television series Roseanne. He is also a well known film and stage actor. Goodman comes from Affton, Missouri where he showed an early interest in film. A football scholarship took John to Southwest Missouri State University where he continued his acting education. A college injury ended his football dreams, so Goodman moved to Manhattan in pursuit of an acting career. He eventually performed on Broadway and appeared in several commercials. By the early 1980's John started landing small movie roles, including Eddie Macon's Run, and The Survivors (both in 1984). In 1990 Arachnophobia earned John a nomination for a Saturn Award for Best Supporting Actor. John then starred in the hugely popular 1998 film, The Big Lebowski which lead to a repeat nomination for Best Supporting Actor. Despite his moderate film success, Goodman is most widely know for playing Dan Conner on the TV sitcom Roseanne. Between 1988 and 1997, 221 episodes of Roseanne were filmed and John received numerous awards for his performance. Goodman met his wife, Annabeth Hartzog, while filming Everybody's All-American (1988). The two were married in October 1989, and had daughter Molly in 1990. John admits once having a long-time alcohol problem, but has reportedly been clean since 2007.